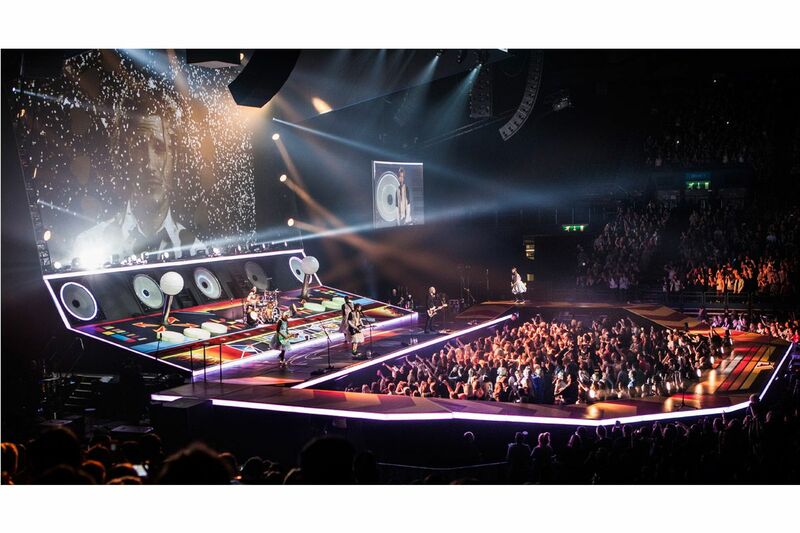 Have a bespoke printed floor for TV, film, exhibitions & live events. 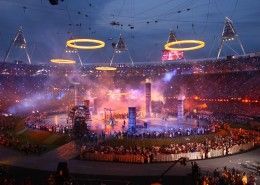 Specialising in print for over 25 years. 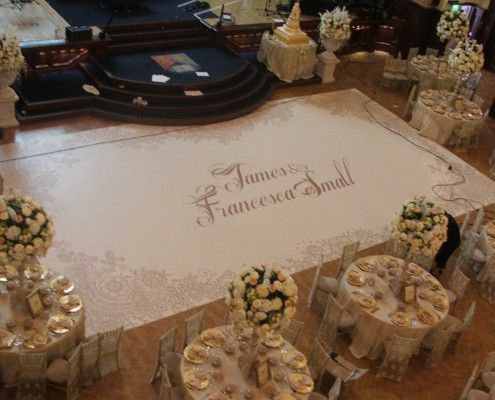 We can produce almost any logo or design up to a stunning 1000dpi resolution on a range of world-class roll-out floors. 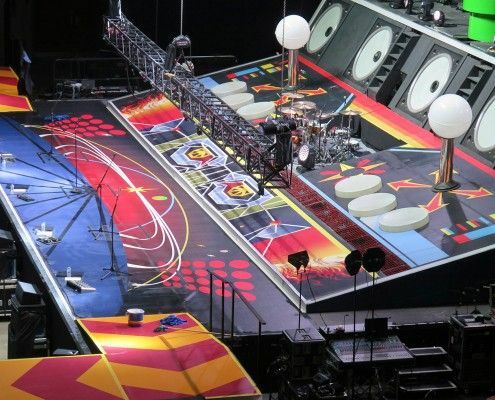 Suitable for both large and small scale designs, our print plan technology allows us to accurately produce your printed floor on a huge scale (view our case study on the London 2012 Opening Ceremony). 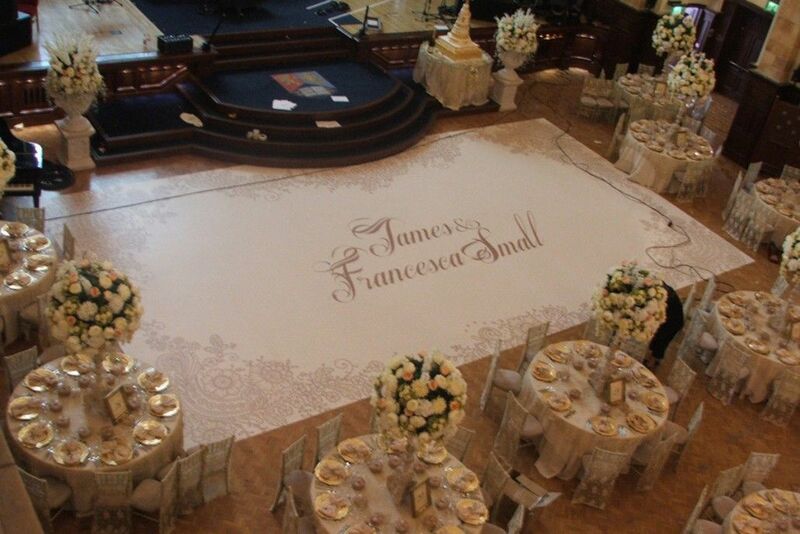 Artwork can be provided camera ready or we can work with you to produce the entire design. 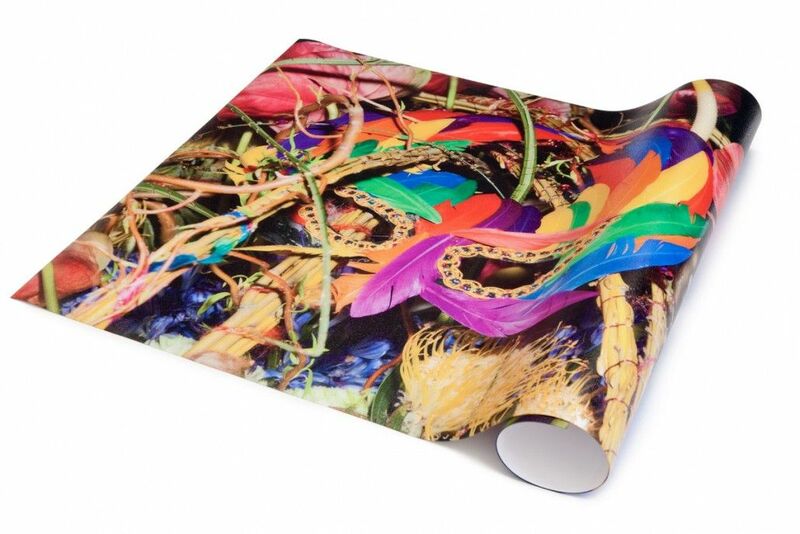 We’re also one of the only UK companies able to print on both matt and gloss surfaces. 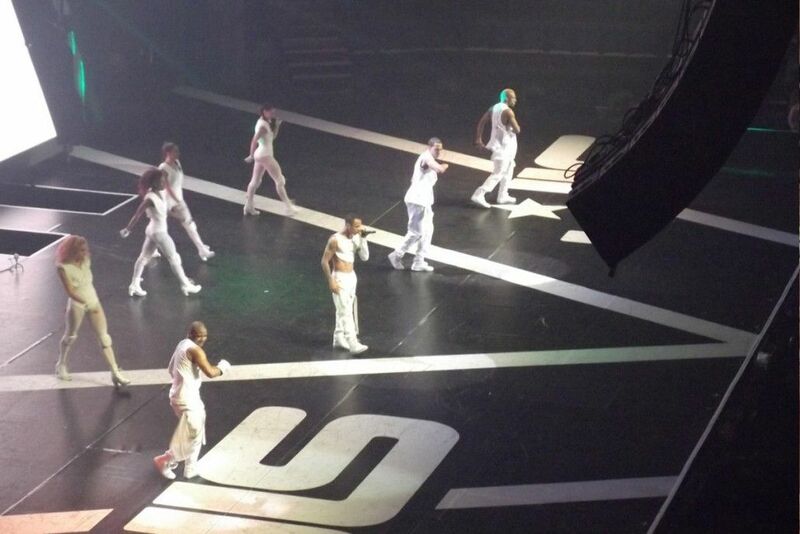 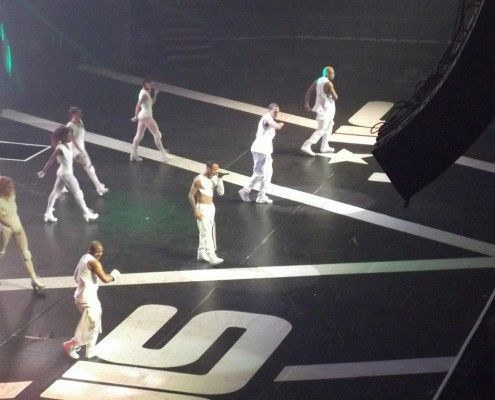 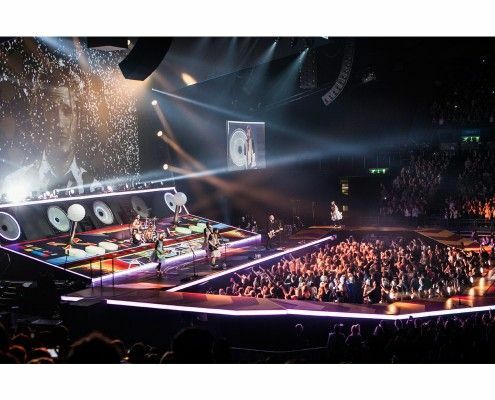 A Le Mark printed floor has been used for some of the biggest events and touring performances including Olly Murs, JLS, Mc Busted, MTV Live Lockdown, Fusion Festival, The London 2012 Opening Ceremony and many more. 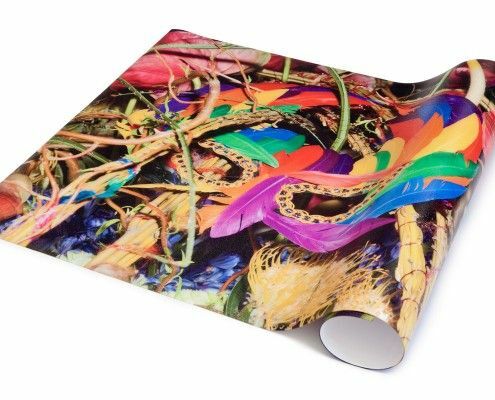 We can print almost anything – you design it and we print it, you’re only limited by your imagination. 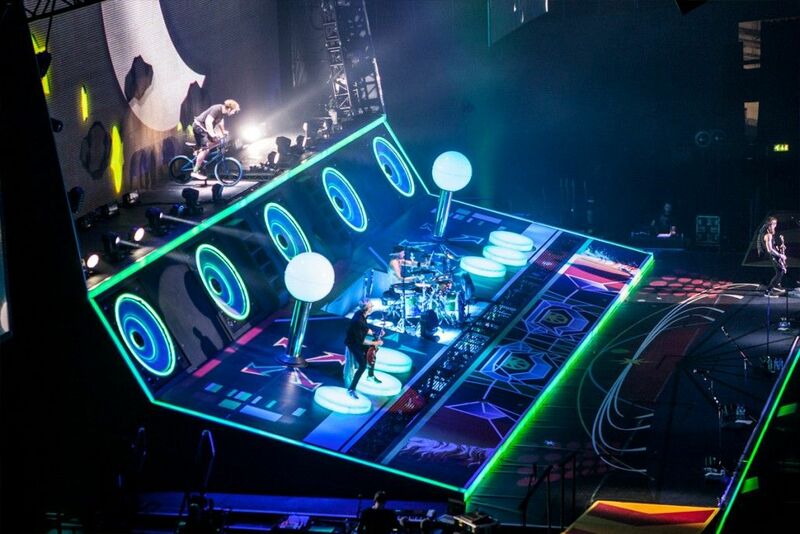 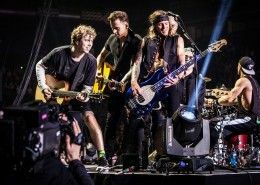 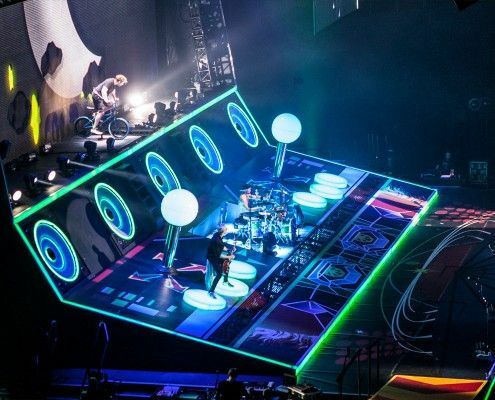 A 360sqm giant arcade game stage floor, custom printed for McBusted's UK arena tour. 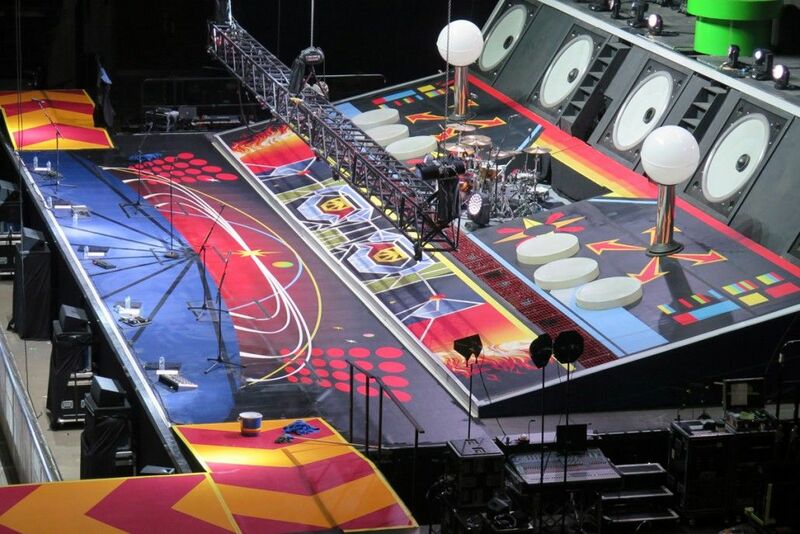 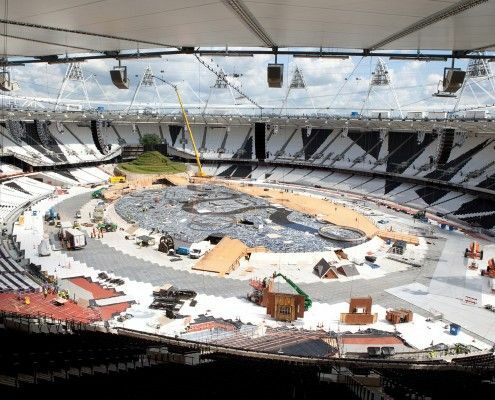 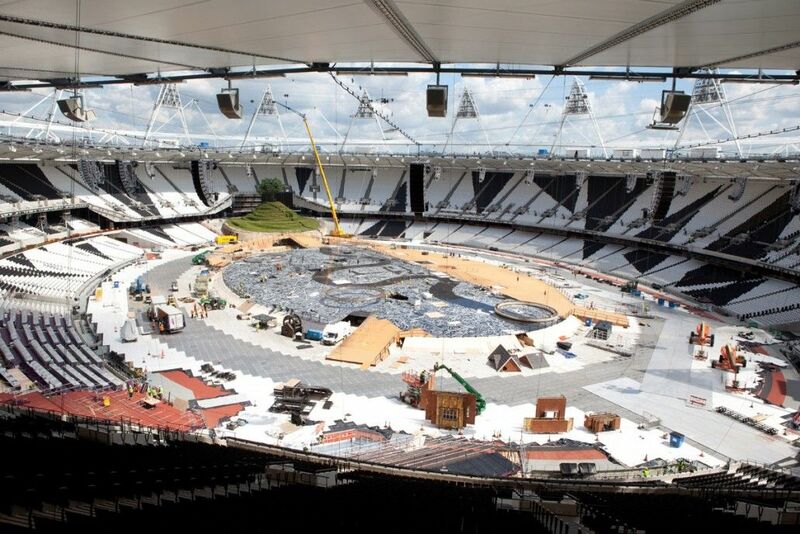 See how Le Mark produced the stunning printed stage floor for the London 2012 Opening Ceremony.